Summer in Bushwick wouldn't be the same without fire hydrants blasting cold water, and children playing and squeaking in excitement. But before you bike through the hydrant (I dare you! ), join the kids in the water, or get really concerned about the NYC water supply, let's take a look at ten things everyone should know! 1. Yep, it is illegal, dangerous and wasteful to open a fire hydrant without spray caps. 3. You can get a fine up to $1,000, or go to jail for to 30 days, or even both! So watch out, serial hydrant openers! 4. 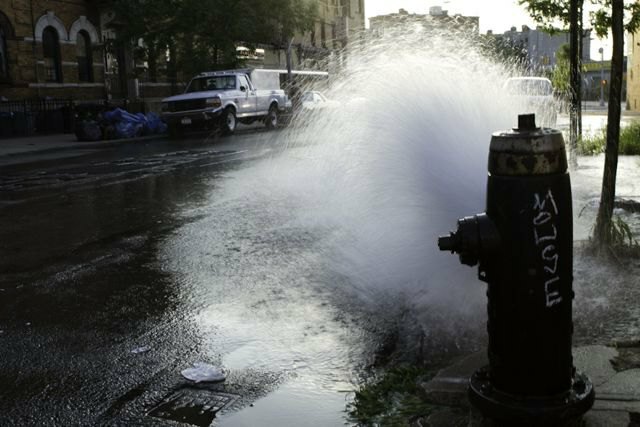 If you see a blasting fire hydrant, call 311 to report it. 5. We have some good news for fire hydrant lovers as well: Fire hydrants can be legally opened with a spray cap! Spray caps can be obtained by an adult 18 or over, free of charge, at any local fire house. 6. A hydrant without a spray cap releases 1,000 gallons of water per minute, while a hydrant with a spray cap releases 20 to 25 gallons per minute. Now that's a big difference. 7. There are approximately 109,000 fire hydrants throughout the five boroughs. 8. Over 200 fire hydrants were illegally opened in NYC last weekend due to the heat. 9. The first fire hydrant, most likely a wood case hydrant, was installed in 1808 at the corner of William and Liberty Streets. 10. The most common hydrant model used today is based on a design by A.P. Smith's 1902 "O'Brien" hydrant. 11. 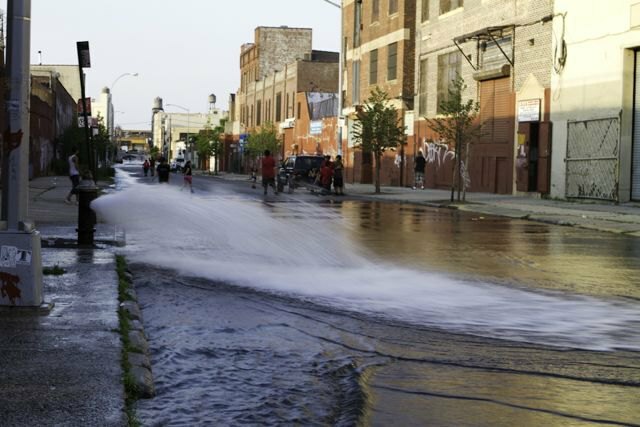 [UPDATE:] After GlorifiedTomato tweeted at us, we're adding for all the transplants (including the author of this article) that in Brooklyn and Lower Manhattan fire hydrants are called the Johnny Pumps!